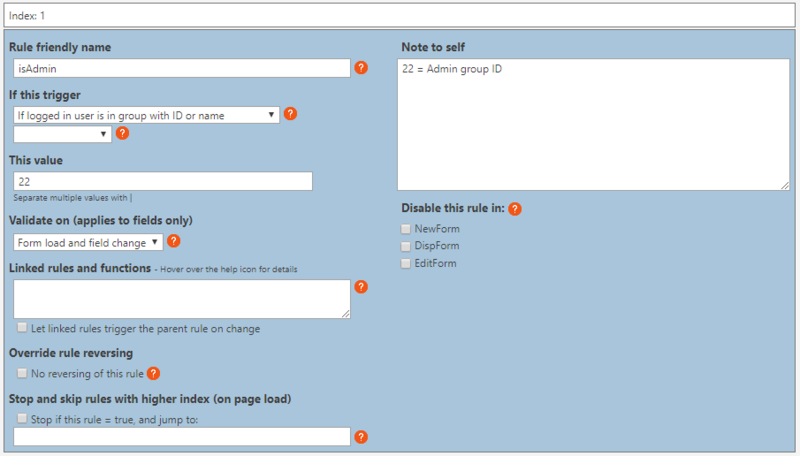 This example show how you can use a set of rules to ensure only persons assigned in a people picker in the form, or members in an admin group can view or edit a list item. This rule doesn’t have any actions. This rule checks the two previous rules, and calls a function if both are false. Post any questions below, or use the forum. I have released a new version of the DFFS package (v4.4.3.60) with a few bugfixes and some new functionality. 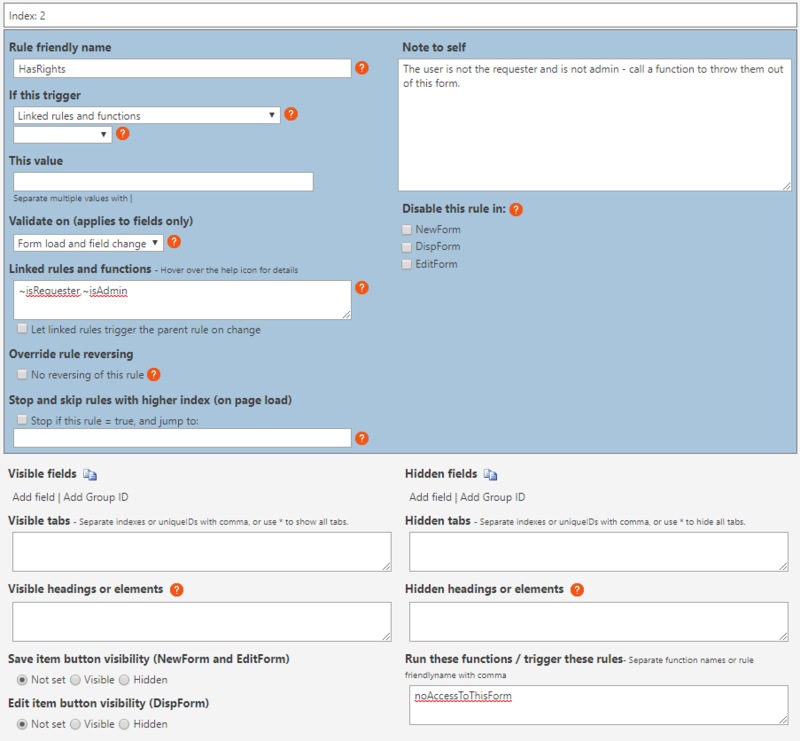 I have released a new version of CommentBox for SharePoint with some new features.